Posted this in my 'Auto Manufacturers' thread as well, but I opened a position in FIATY yesterday. It looks super cheap to me. You also might want to consider Exor (www.exor.com). They hold 30% of Fiat and 30% of Fiat industrial + some other investments. The Mackenzie Cundill funds own it, and Bestinver also owns it. I myself am long exor. They seem to actively manage value, f.e. by separating Industrial from Fiat group and the Chrysler deal seems to have been on very good terms. Because they hold other assets and are levered on the liability side of the balance sheet as well, any upwards movement by Fiat will translate into similar nav gains as holding fiat directly. 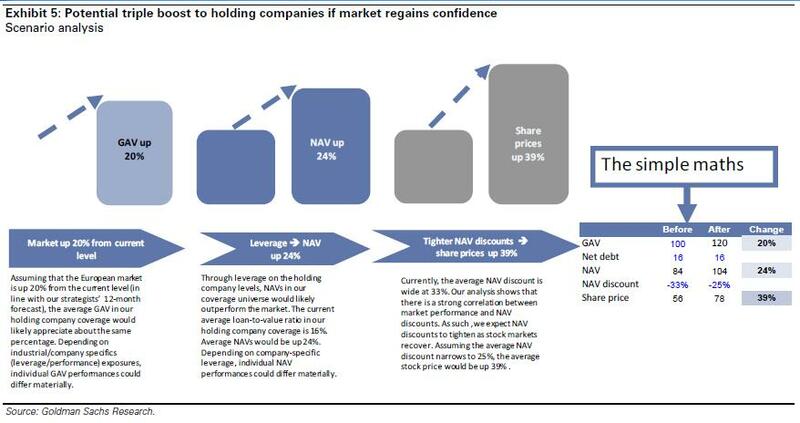 Also, the exor stock is trading at significant discount to nav (historically they trade with a conglomerate discount, just not that severe), so you get and undervalued stock within an undervalued holding company. From the link above p.19 it seems like the preferred and savings shares are more interesting than the ordinary. The only difference is that they are non-voting shares, have a higher dividend, and lower liquidity. As a result they often trade at a lower price than the ordinary shares. I think you´re mistaken. From what I remember the preferred and saving shares will be converted into common the same way they did with Fiat. I´ll try to find the document later today. impact on the cost of capital, reducing dividend commitments." 0.700 ordinary shares per preference share and 0.725 ordinary shares per savings share;"
ordinary shares for each savings share." I found indeed those conversion rates for Fiat, but couldn't find anything for Exor. I'm pretty bullish on Fiat also. There are a number of catalyst that could move the shares substantially higher. Just hitting Marchionne's profit margins for Chrysler could double the shares. Still, Fiat needs to gain 80% control of Chrysler before they can go after their cash flows. I'm wondering if Fiat will need to ask for government assistance in Italy if they bleed for another year.